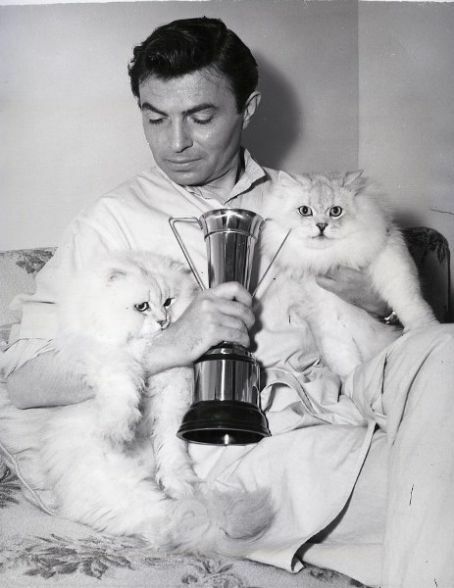 If you are a fan of actor James Mason, chances are good that you know he loved cats. 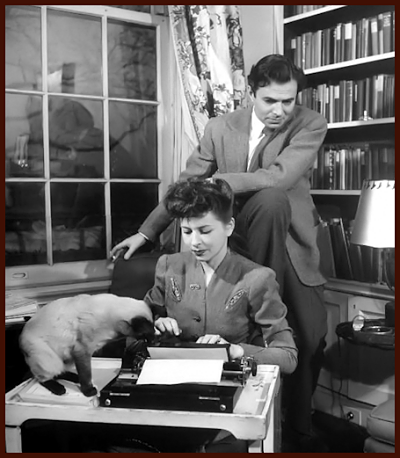 Indeed, he and his wife Pamela even co-wrote a book on cats, including The Cats in Our Lives and lent their names to the fiction anthology Favourite Cat Stories of Pamela & James Mason. 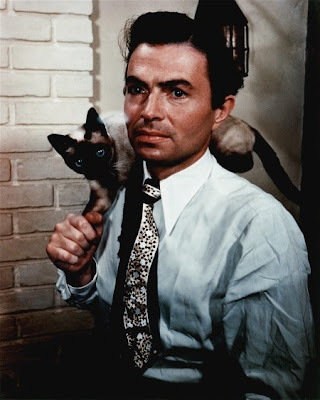 Over the years James Mason had many feline friends, and he clearly knew cats well. 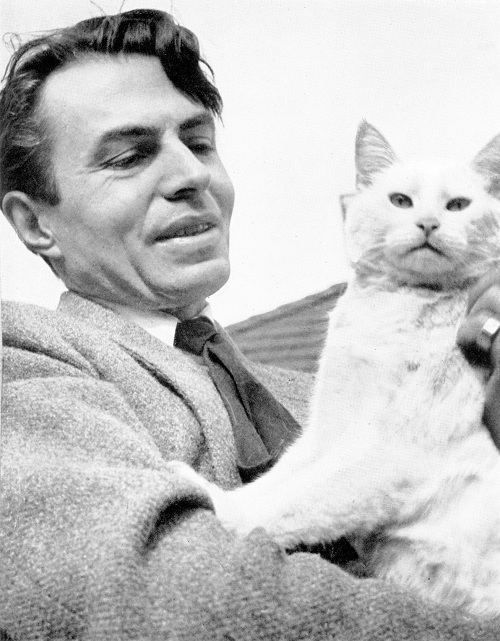 He once said, "Cats do not have to be shown how to have a good time, for they are unfailing ingenious in that respect." As a fellow cat lover, I know that to be true. Here are a few pictures of James Mason (and one with Pamela as well) and his various feline friends. 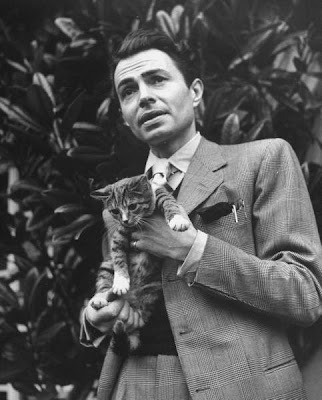 I sent this piece to a buddy of mine who has five or six cats. Hard for me to go visit because I'm a bit allergic.